Law and Lawyers: Outrage !! Unelected Euro Judges trampling on our democracy ! At least, the Daily Mail has continued its campaign against the government's "secret justice" proposals - "Coroner's Courts are YOUR last defence against a tyrannical State: is that why Cameron wants to make them secret? . (At the time of writing, the actual Bill has yet to be published). Concerns at home - As readers of this blog will know, there are many concerns about the way our system of justice is heading including the Justice and Security proposals (see here); the removal of legal aid and restrictions on legal aid ( here). Also, the recent Queen's Speech announced plans to greatly increase surveillance of the internet by intelligence agencies and the police (Telegraph 9th May). These are proposals emanating from within our own government. The European Convention on Human Rights stands as a long stop against national attacks on civil rights and liberty. Even when cases reach Strasbourg, the reality is that few are decided against the UK but, of course, those that are will often attract considerable publicity. Within the British body politic there are those who undoubtedly seek to limit severely the hard fought rights of the British people. These individuals are plausible and clever. Like the snake oil salesman, they operate smoothly. They must not be allowed to prevail. Background to the European Convention - As a nation, the UK fought, along with Allies, a terrible war at massive national cost against the totalitarian regimes which emerged in Europe and elsewhere. (The war debt of the UK was not repaid until 2006). For me at least, it is a proud fact that, in the aftermath of that war, the UK was a founder State of the Council of Europe and among the first signatories to the European Convention on Human Rights. These actions demonstrated serious commitment to both democratic principles and the rule of law. A voluntary deal - The UK agreed to be bound by the terms of the European Convention and agreed to abide by judgments of the court when the UK was a party to the case. 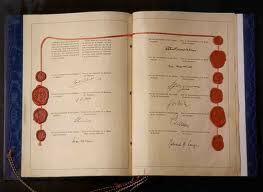 This is a deal (a treaty) entered into with other nations and it was entered into voluntarily. 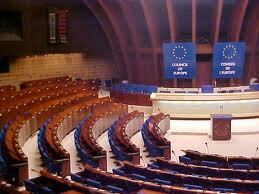 (The UK could leave the Council of Europe though, in my view, it will not do so). The UK's sovereignty remains intact. Similarly, the UK freely entered into Protocol 1 Article 3 (Right to free elections). Of course, it is perfectly arguable that Article 3 lacks sufficient detail and, as such, leaves a lot (too much?) of the interpretation to the court. Perhaps the Brighton Conference and resulting Declaration was an opportunity missed by those who dislike the way Article 3 stands? Implementation - The Westminster political elite must now get on with the serious business of bringing forward a Bill to alter the law to permit some prisoners to vote. All that Strasbourg has said is that a ban on voting must be proportionate to what the individual has been convicted of doing. General, automatic and indiscriminate disenfranchisement of prisoners is incompatible with Protocol 1 Article 3. As the decision in Scoppola itself decides, the UK has discretion to enact a scheme which will ensure that "killers, rapists and thugs held in jails like London’s Wormwood Scrubs" do NOT take part in elections. A ban in such cases would, as it was with Mr Scoppola, be proportionate. Had the UK not had general, automatic and indiscriminate disenfranchisement of prisoners, Mr Hirst would not have succeeded against the UK in Hirst No2. Interestingly, it is somewhat ironic for Strasbourg to have effectively approved the Italian rules which are, in some respects, more draconian that those in the UK. In doing this, the court may have unwittingly handed UK politicians an opportunity which some of them may be all too keen to grasp ! It remains to be seen just what the British government will do. There is some indication that they will bring forward a Bill but will seek to delay as long as possible any actual change to the law - The Guardian 24th May. "Ministers believe a concession by the court giving each state discretion on how to implement the ban will allow them to report back every year for an indefinite period on how the process is going." This course would be, in my view, seriously detrimental to the rule of law. The British government (rightly) expects individuals to abide by court orders and the rule of law requires that governments also abide by decisions of the courts including the European Court of Human Rights. The responsibility for supervising implementation of judgments rests with the Council of Europe's Committee of Ministers. In the case of Greens and M.T. 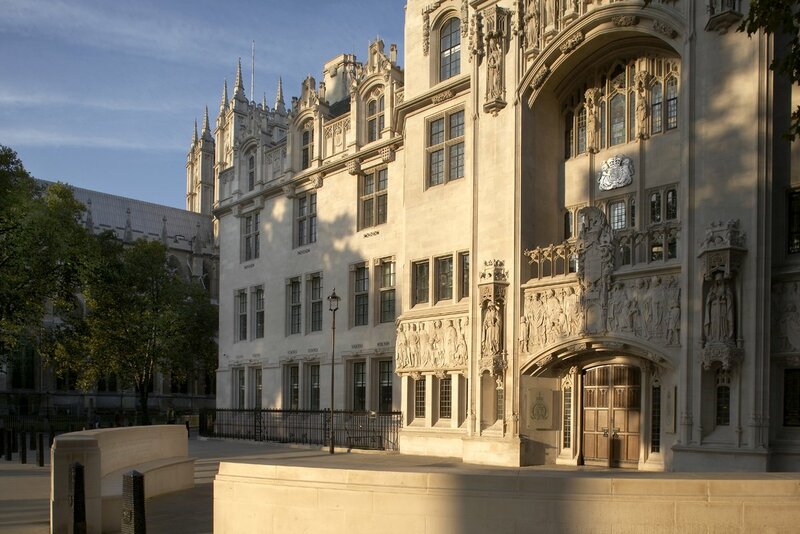 v. the United Kingdom, the court made it clear that the UK Government should bring forward legislative proposals to amend the law within six months of the date on which Greens and M.T. became final. The UK was further required to enact the relevant legislation within a time-frame decided by the Committee of Ministers. Greens and MT became final on 22nd May 2012 - the date of the Scoppola judgment. The Court indicated in Greens and M.T. that, if the UK Government complied with the time-frame, it would proceed to strike out all the similar pending cases. (There are some 2500 similar cases). In the event that those cases remain live, the UK may well become liable for considerable amounts of money by way of "just satisfaction" to the various applicants. As for the "unelected Euro judges" - it is true that they are not elected by popular ballot but there is a process of "election" whereby three candidates are put forward and then voted on by the Council of Europe's Parliamentary Assembly where the UK has 18 seats. All members of the assembly are MPs from domestic parliaments. So some of our own MPs vote on which judges to appoint. This is more power than they have with regard to domestic judges. Domestic judges are appointed. (See post on UK Human Rights blog - Unelected Judges dictating our laws etc. etc.). "The Guardian reported yesterday that “MPs aiming to claw back powers from Europe have secretly interviewed [my emphasis] candidates to become Britain’s next judge at the European court of human rights”. Oliver Heald MP said that a group of MPs from the three main political parties met the 3 candidates, Raquel Agnello QC, Paul Mahoney and Ben Emmerson QC. The aim is “to improve democratic accountability”. (See The Guardian 22nd May). Adam Wagner then pointedly says: "What would really improve democratic accountability is to hold such meetings in public, and broadcast them online." For appointments to Strasbourg (and maybe elsewhere), that would be a step worth taking in a democracy but, then again, does our political elite really believe that such processes should be transparent to the people? "The European Convention on Human Rights stands as a long stop against national attacks on civil rights and liberty". Good piece but you seem to have entirely missed the point: There are certain things that should be decided upon by our elected MPs, NOT by some pricks in a court in Strasbourg. Secondly, while the ECHR was created with fine intentions, after a very dark period of abuses, I'm sure it's original authors would react with horror at the way it is wilfully being abused by some of the dregs of society, with the implicit assistance of crazy judges and dishonest lawyers. The point is that the UK has agreed to the rules applicable to the Council of Europe. These are in the Statute of the Council of Europe and the Convention on Human Rights. There is nothing permitting a State to only accept decisions which its government happens to like. Those who wish to have just our elected MPs making all the decisions must press for the UK to leave the Council of Europe which is permissible under the Statute Article 7. To press for withdrawal would at least be an honest policy. The present government now seems to be set on a course of wilful disobedience / culpable neglect. This is a course which will lead to lack of trust in the UK on an international level. There will be loss of moral authority affecting the UK's ability to require other states to abide by Treaty obligations. I am truly grateful to ObiterJ for this wonderfully lucid analysis, which resonates with my own (much more inchoate) feelings, and confirms many valuable facts that are too often wilfully omitted from the debate around this vexed but very important issue. If it were "just" a matter of votes for prisoners, it would be serious enough, but this is a principle that has already been found to extend to any blanket removal of rights derived from the Convention. It is a sad irony that the UK's wilful and persistent failure to comply with the rule of law in this case has brought the country into serious disrepute at the very time it had a golden opportunity to reform the workings of the Court and help reduce the backlog of cases, refocus its attentions, and streamline its business. That opportunity now appears fatally compromised, and this sorry tale is likely to go down as a textbook case of how to cut off one's nose to spite one's face, and is already cited as a classic example of how NOT to win friends and influence people!